Welcome by again today, everyone! 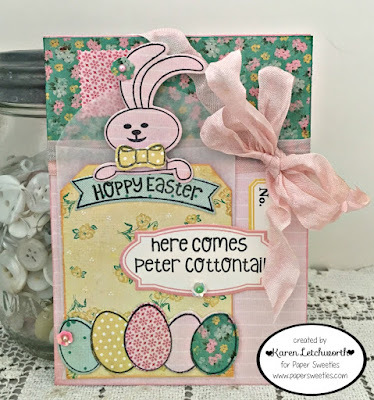 This month at Paper Sweeties we're taking a look at some of our most favorite products; and because Easter is just around the corner, I decided to share some of my most favorite Easter projects to showcase all the AMAZING products carried at Paper Sweeties. You can find LOTS of great stamps, dies (sweet cuts), embellishments, and SO much more to help you create something extra sweet. Paper Sweeties has it all! 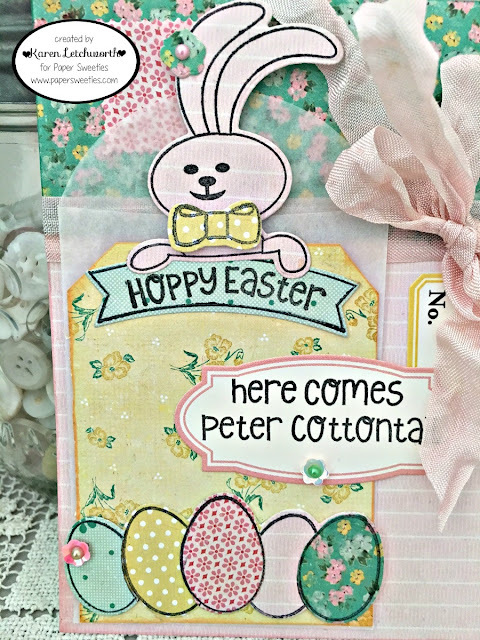 This card was created using Bubblegum Seam Binding, Sugar Sprinkles Sequins and Pink Grapefruit Sequins, and (from the Basket Add On: Hoppy Easter set....) the Bunny stamp, his small bow (there are two bow sizes in this collection), the Flower stamp on his ear and as decoration here and there, two of the sentiment stamps and the Eggs stamp. Yes, they're all super adorable. 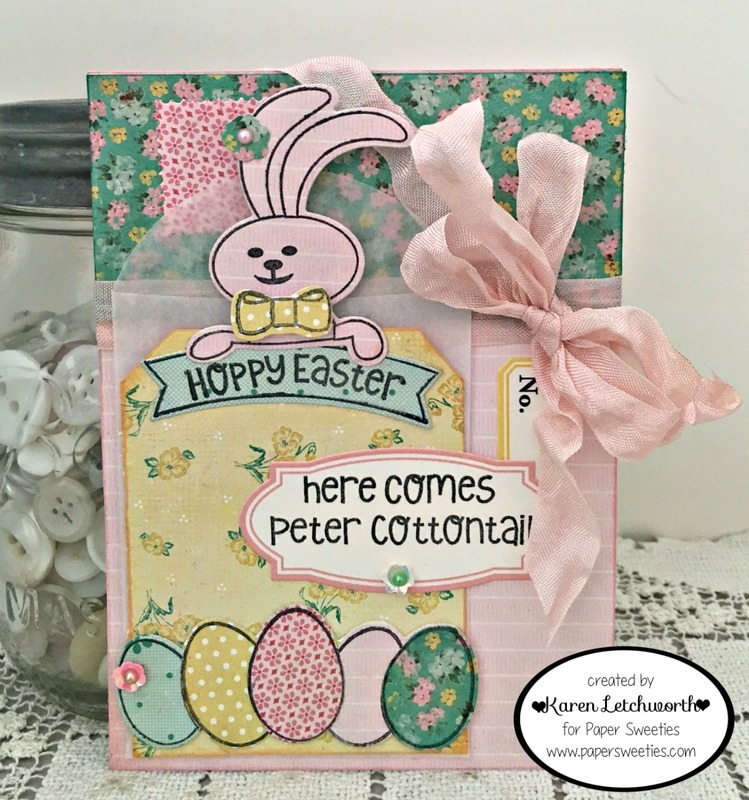 But then again, Paper Sweeties has OODLES of cute Easter sets as well as products for an entire year of creativity. Thanks for visiting me today, and please be sure that you stop back by tomorrow for even more fabulous inspiration as we share additional Paper Sweeties favorites. And....don't forget to join the Paper Sweeties Facebook group sp that you'll always know about special sales and promotions taking place at Paper Sweeties. We love having you stop by!